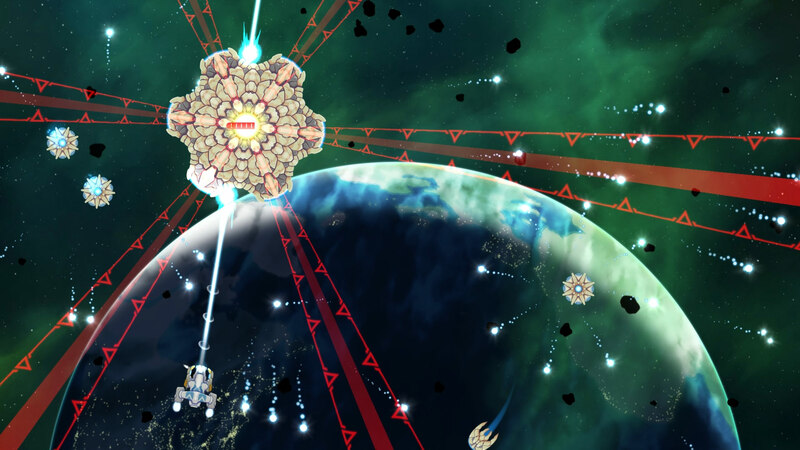 Xenoraid looks like an old school shmup. In many ways, it even plays like an old school shmup. But when you jump in that ship and get a feel for the controls, you realize this game is about as modern as it gets. Once you get used to the ship swapping feature, the upgrade menus, and the clever co-op mode, you'll realize this game goes far beyond the usual shmup requirements and enters a realm all its own. 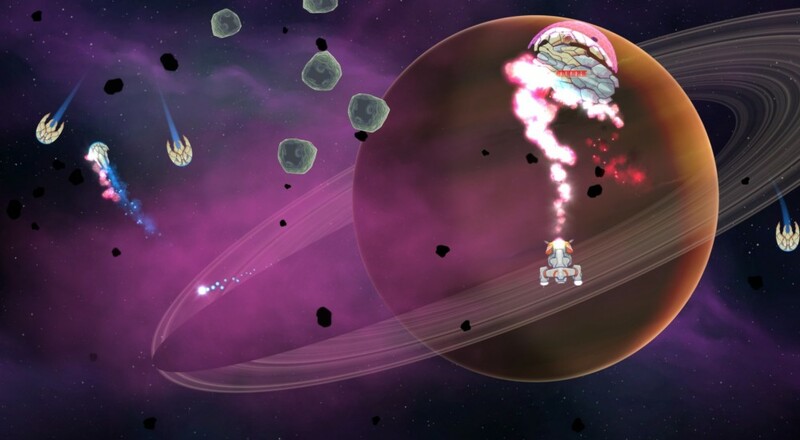 Xenoraid's set-up is one of alien invasions and galaxy protection, nothing too out of the ordinary for a sci-fi shooter. As the chosen heroes who are set to save the day, you'll control not one, not two, not eleven, but four ships at the same time. Don't worry, only one is ever on-screen at any given moment, but you can switch between them on the fly, opening up possibilities that extend well beyond the usual "shoot stuff fast" philosophy. For example, did your ship take a bit of damage? Switch to another one and keep on keepin' on. The biggest bonus for the ship swapping mechanic is the ability to fill out your fleet with different styles of ships. Xenoraid comes with a robust tech upgrade and vehicle hangar menu you'll run across between levels. Repairing damage will be one of your main money drains, especially if you're careless out in the field, but you can also buy or upgrade weapons/defensive systems as well as manage ships on an individual basis. Big bombing ship not doing it for you? Sell it and see what else is in the shop. 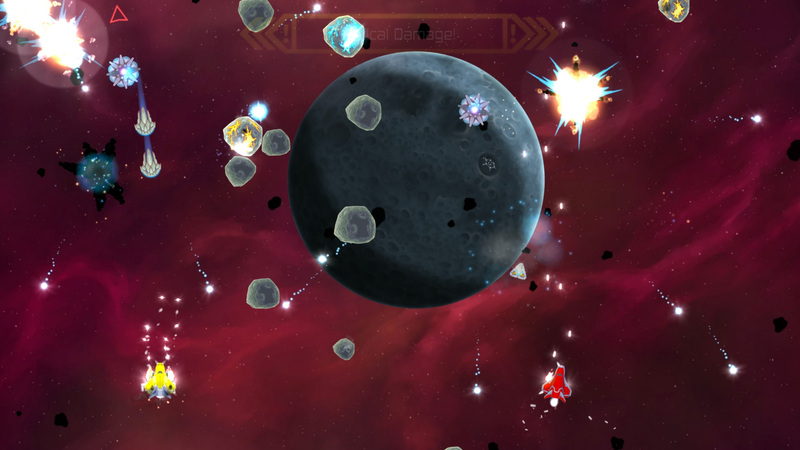 There are two other big differences between Xenoraid and a regular shooter. The tilt shooting mechanic takes a minute to get used to, but once you do, it's the greatest thing ever. In short, your ship leans a little each time you move, shifting the guns off at a slight angle. It's great for taking out enemies that aren't just straight ahead, though you'll curse the mechanic for your first half hour of play. Resist the temptation to turn off fighter tilting in the options, it really is a handy feature you'll grow to love. Also, you know how it's usually a good practice to hold the fire button down all the time? Can't do that in Xenoraid. Well, you can, but your guns will overheat and take a few moments to reset, leaving you vulnerable to, well, everything. Mitigating this is the ship swapping ability, but because that takes a moment or two to enact, you're basically better off not overheating at all. Ever. Play things strategically for once, ok?